Everlast Blacktop has created a tradition of excellence as a concrete contractor in the Chicagoland area. We construct each of our concrete driveways and stamped concrete driveways with exact precision and skill. We take your vision and create an aesthetically appealing project that will function long into the future. 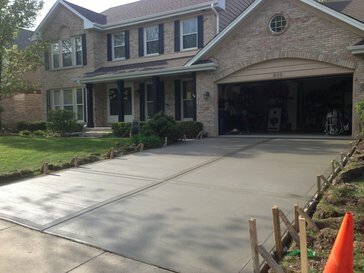 Everlast Blacktop is a reliable concrete driveway contractor that many in Des Plaines have considered the best due to our team exceeding customer expectations on concrete projects. Experience firsthand is what sets us apart from our competition. Des Plaines is a Chicago suburb with approximately 58,364 residents. This ideal Illinois city lies just north of O’Hare International Airport and offers attractive picturesque settings at the Des Plaines River just east of the downtown. Everlast Blacktop prides itself on being a stand out concrete contractor that delivers precisely what the customer wants in a timely fashion. You can be sure that you will receive an accurate quote on your concrete driveways or stamped concrete driveways. Let Everlast Blacktop concrete driveway contractor show you what exceptional is. Everlast Blacktop concrete contractor shows its dedication by delivering on our word. We appreciate and value the privilege to work with our customers. Together we can bring your concrete project to life. Just ask the many satisfied customers in the Chicago area that enjoy our concrete driveways and stamped concrete driveways every day. Everlast Blacktop is a concrete driveway contractor that can create a simple design or an elaborate stamp concrete driveway. Call our team at (630) 855-5572 if you would like more information or would like to get a quote.